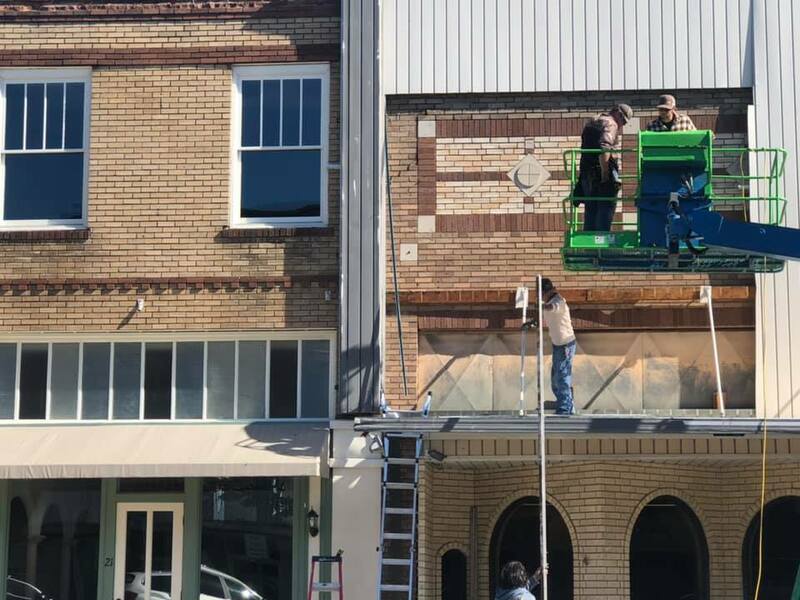 Constructions crews began pulling down the facade on the old Carriage House building in downtown Paris this morning, revealing the original 1916 design. 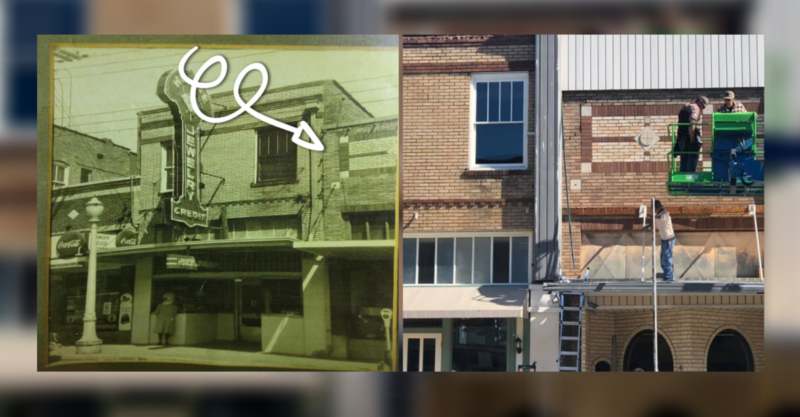 The building was originally built in 1916 and behind the facade is a gabled-roof according to the owners. Last year, owners Keith and Janet Green restored 17 and 21 Clarksville Street and now they plan on doing the same to 27 Clarksville Street. After retiring and closing Carriage House in December 2017, the Green’s originally planned on selling the three buildings before deciding to turn back the clocks and restore it to how it looked when built in 1916. 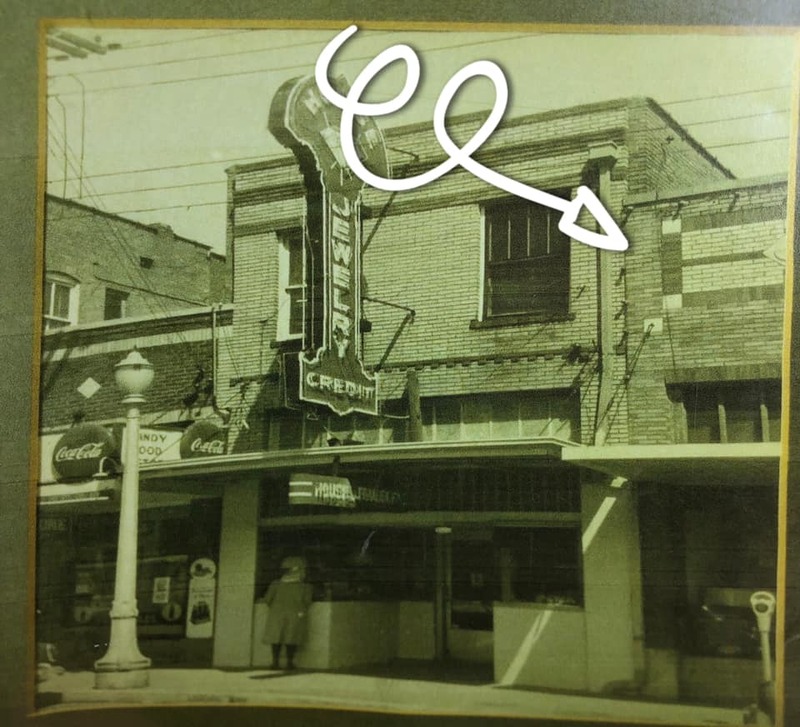 The Green’s took ownership of the building in 2013 which was previously owned by Gene Rader (locally known as Gene the Jeweler) who covered the front of the buildings in the 70’s and 80’s. Both 17 and 21 Clarksville Street recently sold and the Green’s plan on selling 27 Clarksville Street upon completion also.